The What: BTX Technologies has released its BookIT room scheduling solution 2.0. The BookIT 2.0 room scheduling solution is used to schedule a meeting from any BookIT touchpanel, mobile device, or computer and directly integrates with MS Exchange, Office 365, and Google G Suite. The What Else: New features of BookIT 2.0 include “Meet Now,” which enables walk-up, simple booking of an available meeting room for quick, impromptu meetings. There is no need to log in, and the BookIT touchpanel will let users know the time of the next scheduled meeting. The room will appear as occupied through Exchange, Office 365, and G Suite for others looking for an available meeting space. BookIT 2.0 also provides a deeper view into the network of BookIT devices. 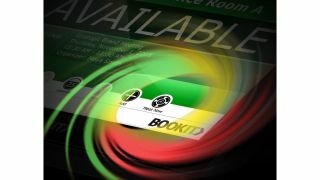 From any BookIT device, users can see the availability of all other rooms in the system, along with meeting details. In addition to new user features, administrators can now schedule the hibernation of screens to save resources. "Version 2.0 adds substantial capabilities to BookIT while retaining its intuitive UI and simple installation," said Greg Schwartz, president and CEO of BTX Technologies. “We continue to process feedback from our integration partners and end users. We utilize that information and fine tune our product roadmap to include features end users really need." BookIT is made to be simple to upgrade: when customers have software maintenance in place, Version 2.0 is available for free. BTX provides a series of mounts for the BookIT device including recess mount, switchbox mount, and mullion mount, improving installation of BookIT on nearly any surface. The Bottom Line: The system includes BookIT Room Scheduling Software, a 7-inch BookIT PoE touchpanel device, a wall-mounting system (bracket included), power adapter (for use when PoE is unavailable) and the Device Management Portal. Version 2.0 of the software is available for free to customers who have software maintenance in place.